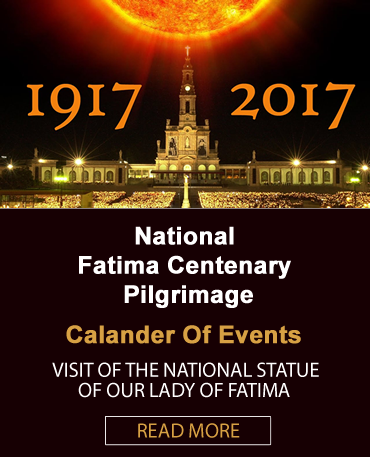 At the beginning of the 20th century, Fatima was a small village in an isolated area of Portugal about 60 miles northwest of Lisbon.There on a spring day in 1916 three young children, aged 6 to 9 years old, were minding sheep.They were Jacinta and Francisco Marto and their cousin Lucia Santos. While they were playing, they suddenly saw a light brighter than snow in the shape of a young man. As they drew near, they could see his features. They were astonished but said nothing to each other. He said :” Do not be afraid. I am the Angel of Peace. Pray with me.” He knelt and bent his forehead to the ground. With a strange impulse the children did the same and they repeated the words they heard him say: “My God I believe, I adore, I hope and I love You. I ask forgiveness for those who do not believe, nor adore, nor hope, nor love You”. After repeating this prayer three times he rose and said: “Pray in this way. The Hearts of Jesus and Mary are ready to listen to you”. And he disappeared. The children stayed in the same position for some time and repeated the prayer again and again. The presence of God was so intense that they could not say a word to each other. On the next day, they felt still surrounded by the same atmosphere and it only disappeared very gradually. They did not speak to each other or to anyone else about what had happened as they felt that a silence had imposed itself on them. Life went on. One day during the Summer, the children were again minding the sheep when suddenly they saw the same angel near them. “What are you doing?” he said. “Pray! Pray! The Hearts of Jesus and Mary have merciful designs for you. Offer your prayers and sacrifices to the Most High.” “How are we to sacrifice?” Lucia asked. The angel replied, “In every way you can, offer a sacrifice to the Lord, in reparation for the sins by which He is offended, and in supplication for sinners. Thus you will bring peace to our country. I am its guardian angel, the Angel of Portugal. Above all accept and bear with patience, the sufferings which the Lord will send you.” Summer passed in to Autumn and one day the Angel appeared to them for the third time, holding in his hand the chalice, and above it a Host, from which a few drops of blood dropped into the chalice. Leaving the chalice and the Host suspended in the air, he prostrated himself on the ground and repeated three times the prayer: “Most Holy Trinity, Father, Son and Holy Ghost, I adore you profoundly and I offer You the Most Precious Body, Blood, Soul and Divinity of Jesus Christ, present in all the tabernacles of the world, in reparation for the outrages, sacrileges and indifference by which He is offended and by the infinite merits of His Most Sacred Heart and through the Immaculate Heart of Mary, I beg the conversion of poor sinners.” Afterwards, he rose and took again the chalice and the Host and gave the Host to Lucia and the contents of the chalice to Jacinta and Francisco to drink, saying at the same time: “Take and drink the Body and Blood of Jesus Christ, horribly outraged by ungrateful men. Repair their crimes and console your God.” Once more he prostrated himself three times more the prayer “Most Holy Trinity, etc.”. Then he disappeared. In July, the number of pilgrims had increased to between 2000 and 3000.Lucia began to get hassle from family and friends as to whether the appritions were genuine. Our Lady said, “I want you to come here on the 13th of next month.Continue to say the Rosary every day in honour of Our Lady of the Rosary to obtain the peace of the world and the end of the war.” The doubts of her mother,the taunts of the people the questions of the parish priest; all these things passed through Lucia’s mind and she decided not to lose an opportunity. “I would like to ask who you are and if you will do a miracle so that everyone will believe that you appeared to us. 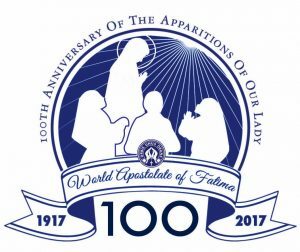 ” ( This was to be a very significant request which resulted in undisputable evidence as to the veracity of all that was claimed to have happened at Fatima ). The Lady responded, “Come here every month and in October I will say who I am and what I want. I will perform a miracle so that everyone can believe. ” After further conversation ,Our Lady said, “Make sacrifices for sinners and say often, especially when you make a sacrifice :O Jesus, this is for love of Thee, for the conversion of sinners and in reparation for sins against the Immaculate Heart of Mary. ” Lucia said, “As she (Our Lady ) said these words, she opened her hands. The reflection they gave out seemed to penetrate the earth and we saw a sea of fire and plunged in this fire devils and souls like transparent embers, black or bronzed, in human form, which floated in the fire and were carried by the flames which they themselves gave forth, together with clouds of smoke, falling on all sides–as the sparks fall in great fires–without weight or equilibrium, amidst cries of pain and despair which horrified us and made us tremble with fear. The devils could be distinguished by their horrible and terrifying forms of strange unknown animals but transparent like burning coal.” The terrified children looked up at the Blessed irgin as if asking for help and she sadly but kindly told them : “You have seen hell where the souls of sinners go. 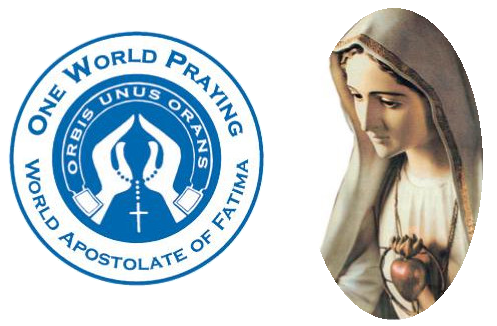 To save them God wishes to establish in the world devotion to my Immaculate Heart. If you do what I tell you many souls will be saved and there will be peace. The war will end, but if men do not cease to offend God another worse one will begin When you see a night lit by a strange unknown light, you will know that it is the sign that God gives you that he is going to punish the world for its crimes by means of war, hunger and the persecution of the Church and the Holy Father. To prevent it I shall come to ask for the consecration of Russia to my Immaculate Heart and the reparatory Communion of the First Saturdays. If my desires are fulfilled, Russia will be converted and there will be peace ; if not, she will spread her errors throughout the world, causing wars and persecutions of the Church ; the good will be martyred and the Holy Father will have much to suffer ; various nations will be annihilated. But in the end my Immaculate Heart will triumph. The Holy Father will consecrate Russia to me and she will be converted and the world will enjoy a period of peace. In Portugal, the Dogma of Faith will always be conserved.” ( The first World War was ongoing at that time.Lucia believed that the aurora borealis which illuminated the night sky on 24th-25th January,1938 was the warning given of the approach of World War 2. ). The children were unable to go to theCova da Iria on the 13th August as they were in prison ! The Mayor of Vila Nova de Ourem decided to put an end to the “nonsense ” at Fatima .He was an anti-religious Mason. He called to the village on the pretence of bringing the children to the apparition site in his carriage but instead brought them to his house in Ourem. When they refused to tell him all that had been revealed to them, they were lodged in the local gaol and threatened with being thrown into a cauldron of boiling oil.While they were in prison, Jacinta began to say the Rosary and all the other prisoners knelt down and joined in What a scene ! The Mayor eventually had to release them. On Sunday,19th August, Our Lady appeared to the children at a place called Valinhos. She asked them to continue saying the Rosary every day and again promised to perform a miracle in October. The number of visitors and pilgrims and of the curious had continued to increase and a large number turned up on this day. Our Lady again appeared to the children and hrr principal message was to continue saying the Rosary daily. The scene was now set for the big day to come on 13th October.Was it all a fraud or would there be an extraordinary sign given ? The night before and into the morning a drizzling rain fell. By ten o’clock the sky was completely hidden behind the clouds and the rain began to fall in earnest.Because the news of the apparitions had spread all over the country and because something extraordinary was expected to happen, ahugh crowd had gathered.In his account, Almeida Garrett, the well known Professor of Coimbra University,estimated the number at 100,000. The Diario de Noticias reporter counted 240 carts,135 bicycles and 100 cars.This only included the number of vehicles which returned to Vila Nove de Ourem.It is not disputed that the number present exceeded 70,000.The crowd did not consist of believers only.There was a percentage of curious,incredulous and unbelieving people, who had come with the sole purpose of mocking the credulity of the simple faithful.Just before noon the rain stopped and the clouds parted to reveal the sun in a transparent gauzy veil so that the eyes could easily be fixed on it.The Lisbon paper O Dia reported on October 17th :” The grey mother-of-pearl tone turned into a sheet of silver which broke up as the clouds were torn apart and the silver sun enveloped in the same gauzy grey light, was seen to whirl and turn in the circle of broken clouds. A cry went up from every mouth and the people fell on their knees on the muddy ground. The light turned a beautiful blue as if it had come through the stained-glass windows of a cathedral and spread itself over the people who knelt with outstretched hands. The blue faded slowly and then the light seemed to pass through yellow glass. Yellow stains fell against white handkerchiefs, against the dark skirts of the women. They were repeated on the trees, on the stones and on the serra. People wept and prayed with uncovered heads in the presence of a miracle they had awaited. The seconds seemed like hours, so vivid were they. ” In the other Lisbon paper the Seculo, Avelino de Almeida recorded, “Before the astonished eyes of thr crowd– – – – the sun trembled, made sudden incredible movements outside all cosmic laws——the sun “danced” according to the typical expression of the people.Some swore that the sun whirled on itself like a giant catherine wheel and that it lowered itself to the earth as if to burn it in its rays. Some said that they saw it change colours successively. ” Dr. Garrett, already mentioned wrote “The sun, whirling wildly, seemed to loosen itself from the firmament and advance threateningly upon the earth as if to crush us with its hugh and fiery weight. ” He estimated that the phenomenon lasted about ten minutes. Dr. Domingos Pinto Coelho said in the paper Ordem : “The sun, at one moment surrounded with scarlet flame, at another aureoled in yellow and deep purple, seemed to be in an exceedingly fast and whirling movement, at times appearing to be loosened from the sky and to be approaching the earth, strongly radiating heat.” . This phenomenon was not registered at any astronomical observatory and could not, therefore, have been of natural origin. It was witnessed by people of every category and class, by believers as well as unbelievers, journalists of the principal daily papers amd even by people kilometres away, a fact which destroys any theory of collective hallucination. There were actually three miracles. Firstly, the event was foretold three months in advance.Secondly, the solar phenomenon itself. Thirdly, although it had been raining hard all night long and up to shortly before noon, as soon as the sun returned to normal,everything was bone dry,the ground, the vegetation and the people’s clothing so powerful had the heat of the sun become during solar happening. Over eighty years have passed. On May 13th.2000, Jacinta and Francisco were beatified by Pope John Paul 2 and their feastday is to be observed on Feb. 20th. Francisco had died of pneumonia in April 1919 and his sister Jacinta had died of pleurisy in February 1920. The third visionary Lucia lived as a Carmelite nun in Coimbra in Portugal until her death on 13th February 2005 at the age of 97.